Where are you? 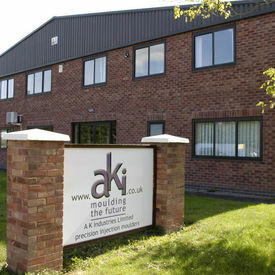 Home > News > AKI scores a perfect 10! It is just 10 years ago that Allen Green and Keith Williams, Joint Managing Directors, made the bold decision to buy out the business from the former multi-national owners. They quickly set about converting the business from a small division of a large group to a self sustaining stand-alone business - A K Industries Ltd based in Hereford . They have always based their business strategy on three sound pillars - caring for customers, a passionate belief in the power of people, and good financial management. After just two years this focus resulted in aki winning the coveted Hereford and Worcestershire ‘Business of the Year Award’ -presented by Jackie Charlton and Tessa Sanderson in 1998. Since then aki has gone from strength to strength building up a machine park of mainly high quality Arburg injection moulders up to 450 tonnes and capable of horizontal, vertical, insert moulding and gas injection operations. The finishing operations include, CNC pad printing, ultrasonic welding, chrome plating, polishing, RF screening, and many others. An important development was the introduction of assembly operations allowing aki to offer a complete manufacturing service. Further developments have seen the introduction of class 10,000 clean room facilities, two shot moulding, micro moulding and the New Product Realisation and Optimisation Process. 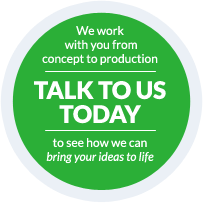 Such is the technical excellence of the business that they are partners in numerous European grant aided development projects facilitated by PERA. In recent times the company has moved into the medical devices market. Remembering that people are key to success in any business, a party to celebrate the 10 year anniversary was given for all the staff, who also received a signed, limited print of a painting, commissioned by aki, showing a nearby scene including Hereford’s famous cathedral. The Directors and their team are now looking forward to another 10 years of success and growth.